What is SAP BW tutorial? 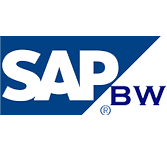 SAP Business Warehouse (BW) domain is designed to integrate data from different sources, transforms and consolidates the data, does data cleansing, and storing of data as well. It also performs data modeling, administration and staging area. This tutorial includes the basics of SAP Business Intelligence and handling other components. This tutorial is prepared for the learners who wish to seek the basics of SAP BI and its applications in practice. This tutorial will provide easy understanding about SAP BW elements and its modules. To learn this tutorial, the readers should have basic understanding of data warehousing concepts and in-depth business knowledge on related application areas with awareness of ABAP Language.